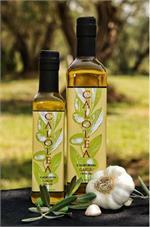 We offer a range of olive oils infused with herbs or citrus, as well as a unique smoked olive oil. They will make your favorite dish extraordinary! If you're looking for one of our infused olive oils that you don't see here, please let us know. Our citrus infused olive oils—Mandarin or Meyer Lemon—can brighten up salads, seafood, or vegetables on the grill. 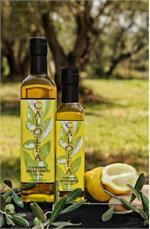 Try our Calolea garlic infused olive oil as a dressing for your favorite salad, as a dip for bread, a marinade, or just for adding some zip to potatoes or tomatoes. The options are endless!